House of Fine Wines: Chardonnay Off! 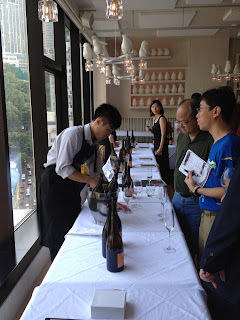 This weekend I was lucky enough to attend not one, not two, but three tastings with Chardonnay at the forefront. This worldly grape can be manipulated into a range of different styles and flavor profiles, so let me share some with you! Friday evening I joined new friend Henry for an Italian festa. Henry just recently finished his WSET 3course and exam, and is a passionate wine enthusiast! 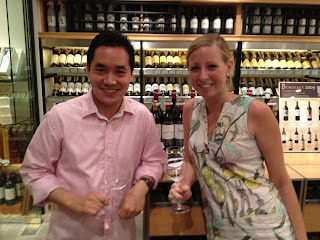 We dropped into Enoteca to taste their selection of Italian Biancos. As with most tastings, we started light (Pinot Grigio) and went heavier (oaked Chardonnay). The first Chardonnay, and third wine, we tried was Jermann IGP Venezia Giulia Bianco 2011. Dry with medium body, apple, pear, and light melon flavors. This had a toasty after taste which suggests there may have been some light oaking. You could tell it was a more cool climate Chard because it lacked some of the tropical flavors that it can sometimes pick up in Australia or Cali. Then we moved onto a much different Chard- Capannelle IGT Toscana 2009. Deep lemon, with a buttery, nutty nose, this baby was rich in body and flavor! Flavors of almond and buttery yogurt dominated, yet it still retained notes of minerality. This is already 3 years old, but I would guess she's still got quite a few more years in her. This is my kind of Chardonnay. The final wine for this tasting (but not of the evening ) was another Jermann- Were Dreams IGT Venezia Guilia Bianco 2010. This was much more restrained and subtle than the last, but still rich in body. Perhaps because of its age, there were more fruit flavors; pear, apple, floral notes, with a refined toasty almond finish. You could taste the winemaker's pride. This is really a beautifully understated wine! 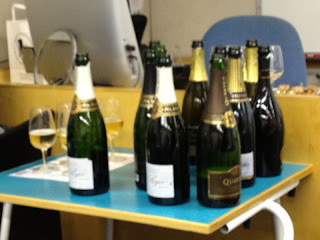 Then it was time to leave for it was sparkling night in wine class!! We tried a Cava, Prosecco, sparkling Chardonnay from Australia, sparkling from USA, and two Pol Roger Champagnes. The star of the evening was, of course, the vintage Champagne. Our last sparkler was a 2000 vintage Pol Roger. Although not 100% Chardonnay, it's still another example of the versatility of this grape. Rich yet refreshing, this demonstrated clear oxidative characteristics through its Sherry, dried fruit flavors. Delish! It's a tough class, but someone's got to do it! I took a brief rest before hitting yet another tasting featuring none other than yours truly, Chardonnay!! 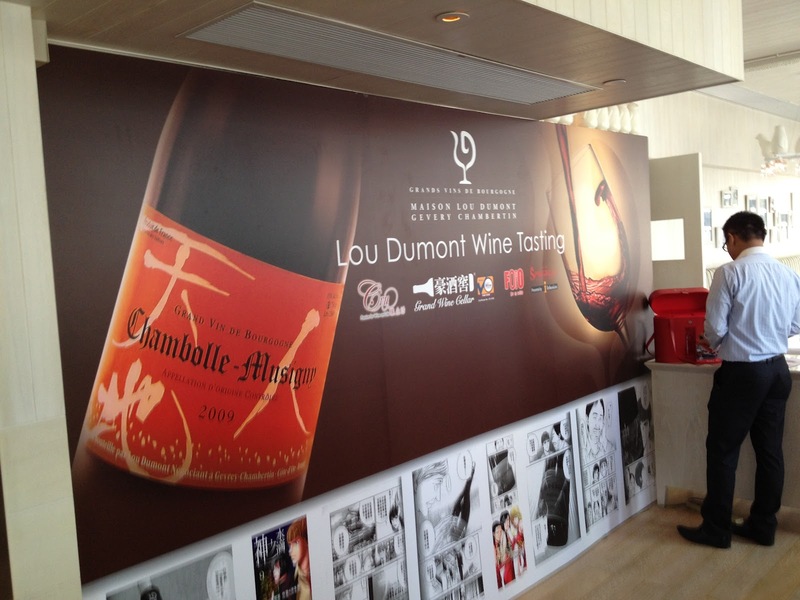 Grand Wine Cellar hosted a Lou Dumont tasting at FoFo. Lou Dumont is a company based in Gevry-Chambertin in Nuits-Saint-Georges, Burgundy. It was started in 2000 and is currently managed by Koji Nakada, a former Japanese sommelier. These wines have gained some international promotion through the ever popular 'Drops of God' series. Of the 8 Burgundian selections, only three were Chardonnay. Can anyone tell me what the other 4 must have been??? 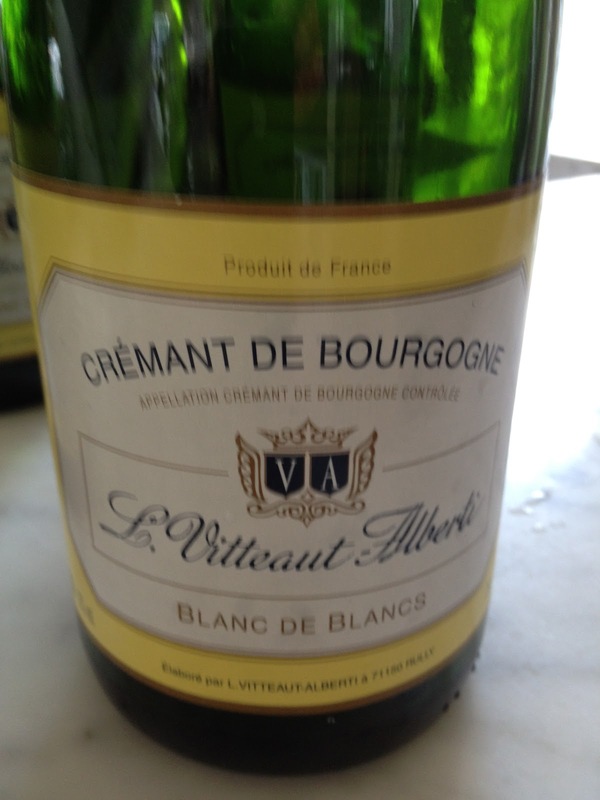 We started with a Cremant de Bourgogne. This as you may have guessed, is a sparkling Chard. Soft, supple with green apple flavors. A nice little start to a Saturday afternoon! Next up was the Bourgogne Blanc Bio 2010. This was fairly light with some hints of melon. Easy drinking. But the definite star of all of the Lou Dumont wines was the Meursault 2009. Obviously oaked, medium bodied, my mouth popped with buttered popcorn and hay notes. Again, this is my kind of Chardonnay. I should also mention the amazing snacks that (quickly) came out. Delicious scallops over guacamole, steak tartare crackers, fried cheese and ham, and a lovely Iberco ham cracker. I'll definitely have to come back for dinner! Thanks to GSW, FoFo, Enoteca, and WSET wine class for a weekend of Chardonnay!! Wonder what's on tap for this week! ?